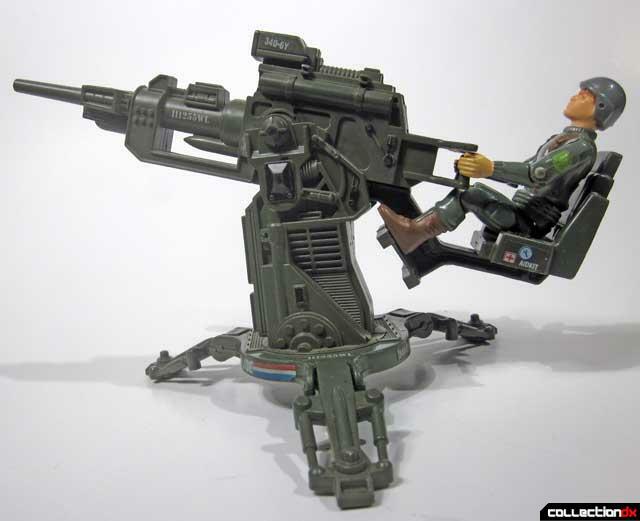 When talking with collectors of the original 1980’s GI Joe A Real American Hero line usually the years that are most debated as the best GI Joe line ever is 1982 and 1985. 1985 because there was a long anticipated release of characters that many kids were waiting to come out as the Sunbow cartoon gave many kids a six month head start of what was going to be hitting the stores shortly. 1982 is usually brought up because it was the first year. 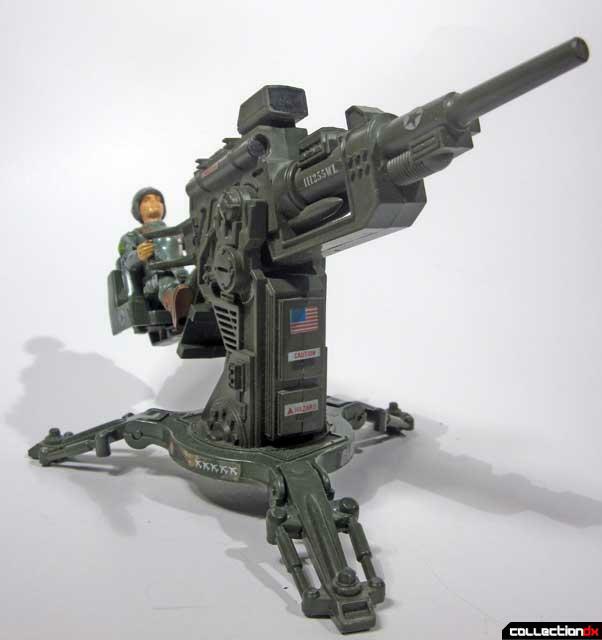 I believe since there were not any GI Joe comic books and cartoons in the first year, kids built up their own GI Joe world and those first characters and weapons became something bigger in their heads because of it. 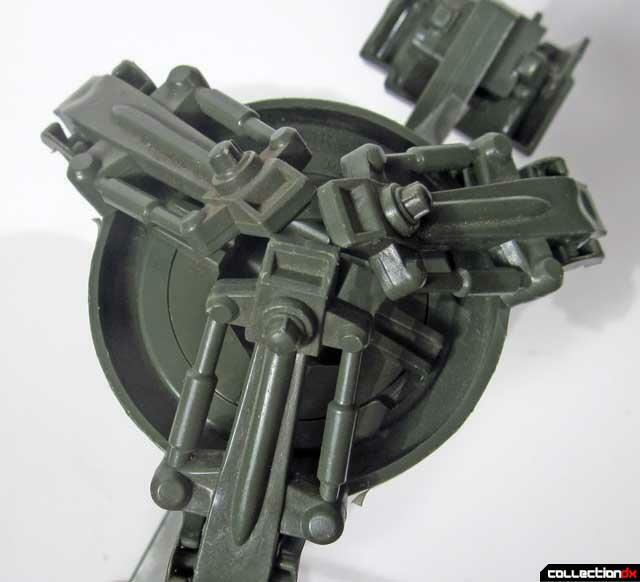 The 1982 line was a simplified toy line with figures mostly made up of the same parts with vehicles all molded in the same deep green drab color. While the defining colors for Cobra will always be black, midnight blue and crimson red, GI Joe will always be identified with Dark Drab Green because of the toys that were released in 1982. 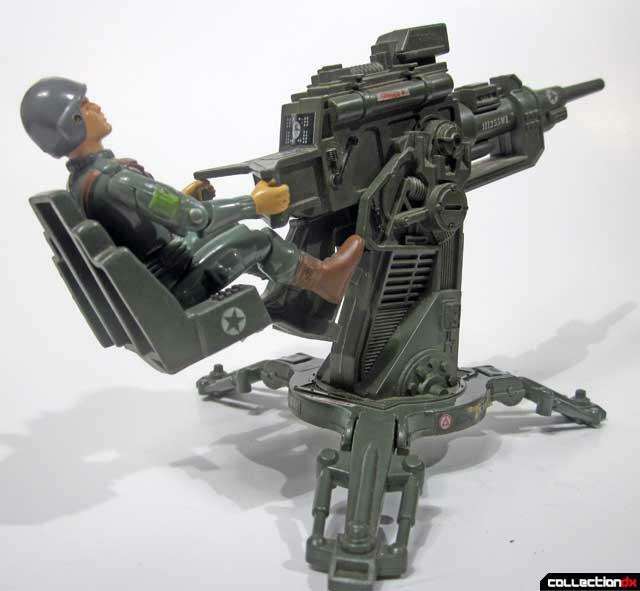 The GI Joe FLAK Cannon was one of the first year releases hitting the stores in 1982. FLAK cannons were originally designed as anti-aircraft cannons designed to shoot an explosive shell far into the sky and exploding there, hopefully near an aircraft in order to disable it. The Germans in WWII had the great idea of using their infamous 88 high-velocity FLAK gun as an anti-tank weapon against Allied tanks, and has historically become one of the most feared weapons of WWII. 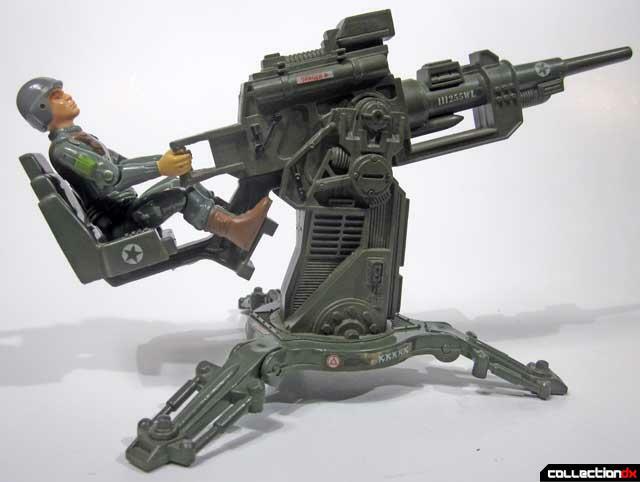 GI Joe’s FLAK cannon was just another early weapon in the fight against the terrorist organization Cobra, but Ironically GI Joe would have to wait until 1983 when the Cobra HISS Tank and FANG gyrocopter were released before they could put the FLAK to good use. 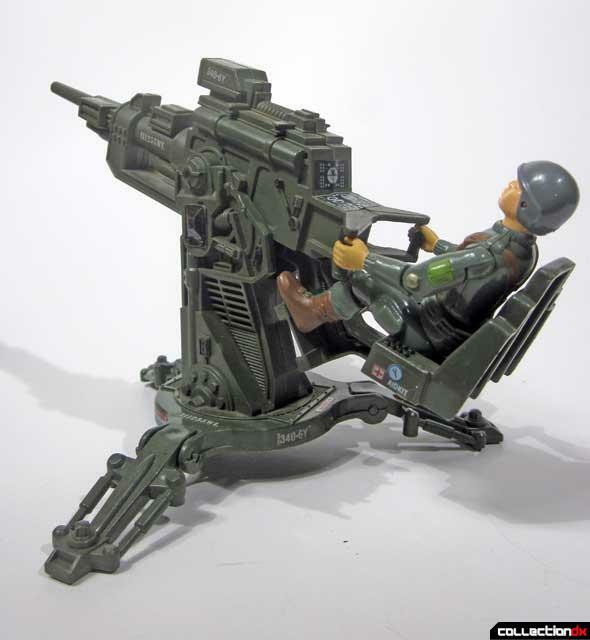 Although a simple toy, the FLAK had a lot of play value on the Joe battlefield. 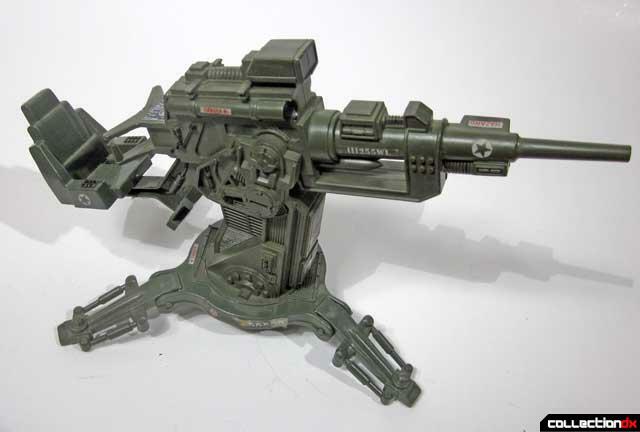 There is not much to assemble on this, as the body and gun are already assembled, just put the bottom ring and folding legs onto the body of the weapon and then apply stickers and then it is completed. 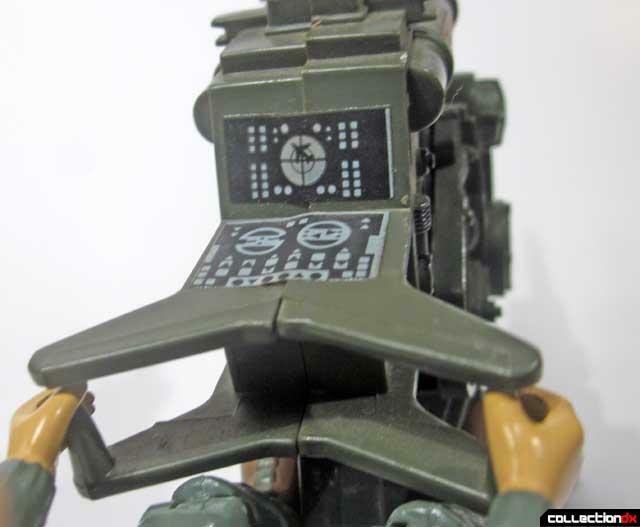 The FLAK cannon rotates 360 degrees but like real FLAK cannons it cannot point straight up to the sky although there is a sticker of an aircraft on the screen sticker. The highpoint of this release is the incredible surface design on the frame and cannon, and in my opinion one of the best surface relief designs in the entire toy line. The tool cutting for the die that produced the FLAK left an amazingly clean and sharply sculpted design. 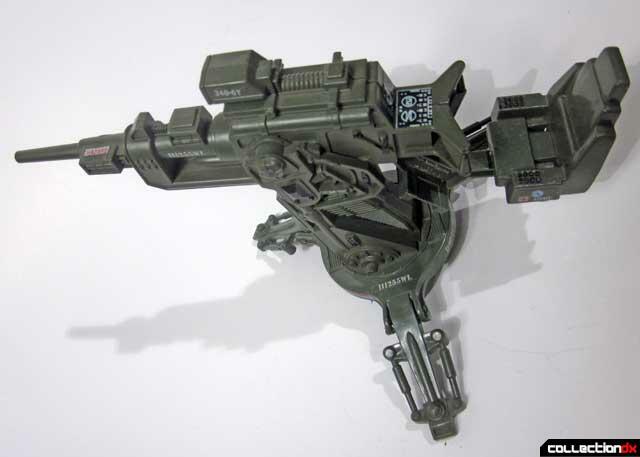 The only issue is the attachment prongs on the three legs of the FLAK cannon. GI Joe toys were made two types of plastics, the very sturdy hard plastic and a softer vinyl like plastic usually used in certain smaller parts of GI Joe toys. While the hard plastic will last 10,000 years, the softer plastic has become a big issue for GI Joe collectors in recent times as it has become soft, sticky and easily breakable. 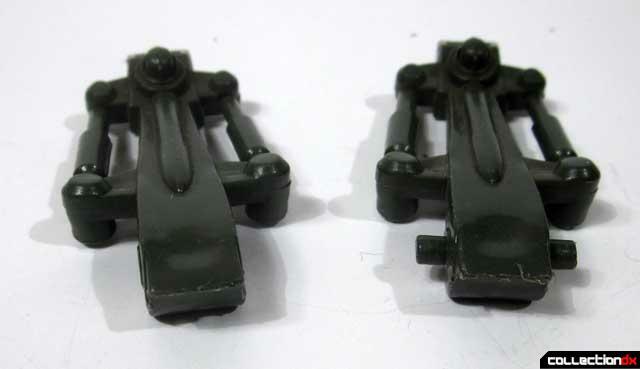 Since the legs of the FLAK cannons are made with the softer plastic the prongs that connect the three legs to the body can easily be broken off. Luckily, since there are so many FLAK toys on the market it is easily replaced, but it is an issue that you should be aware of. The FLAK continued to be made for many years afterwards into the 1990’s as an inexpensive mail away from Hasbro Direct and many are still available in the second hand market for under $10.00. Besides the issues above it is still a great item to pick up if you are a GI Joe collector. Stand by for... ACTION FORCE! Wow, this was one of the earliest action figure-type toys I ever owned, alongside various Stars Wars figures - really brings back the memories! In the UK, G.I. Joe figures were licenced by Palitoy and rebranded as "Action Force" (they were known by that name for many years), as an offshoot of the popular "Action Man" line (again, rebranded 12" G.I. Joe). 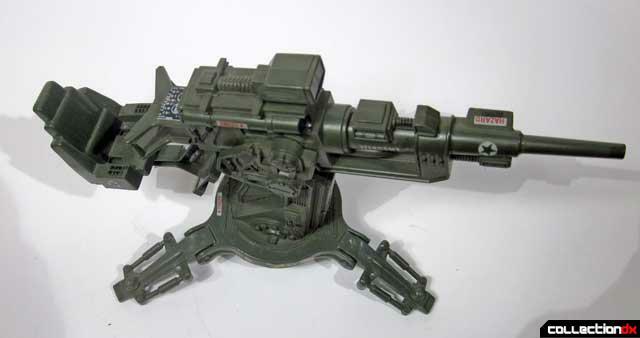 The UK FLAK cannon was released as part of a very early wave (before there was more emphasis on "characters" like Scarlett and Snake-Eyes) as part of "Z-Force"; it was bright green in colour with a black barrel. I also remember those tripod legs being a real pain! Very cool! They had a lot of interesting variations of US figures with the Action Force line in the UK with Red Laser being one of the coolest "foreign" figure ever made! Great to hear your perspective of the UK version of GI Joe toys!